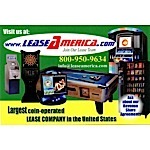 Lease America is now offering our Lowest Price and Best Buy of the season on the Great American Eagle!!! Enter a quantity for each item you would like to add to your shopping cart then click the 'Add To Cart' button at the bottom of the listing to proceed. Required fields are marked with a star (*). Start your own business for just $ 199 sale is for a limited time only!